When unveiling the new Galaxy S4 smartphone on March 14, South Korean mobile phone maker Samsung announced that it would hit shelves in some markets with a Qualcomm Snapdragon 600 processor inside, and benchmarking results for this device flavor are now available. 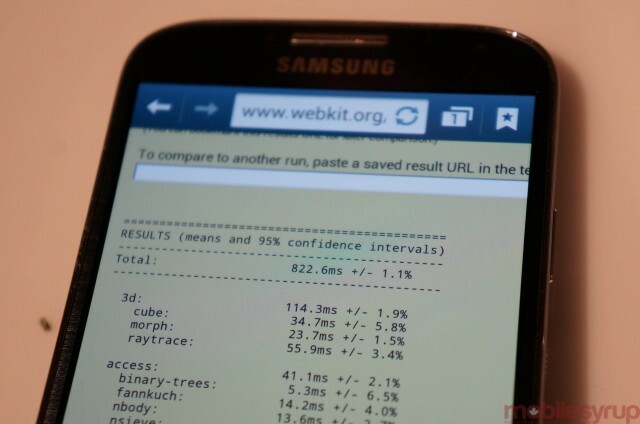 Users in the United States and Canada are among those who will receive this Galaxy S4 model when it becomes available for purchase in late April, and they will enjoy a nice boost in performance compared to last year’s Galaxy S III, it seems. 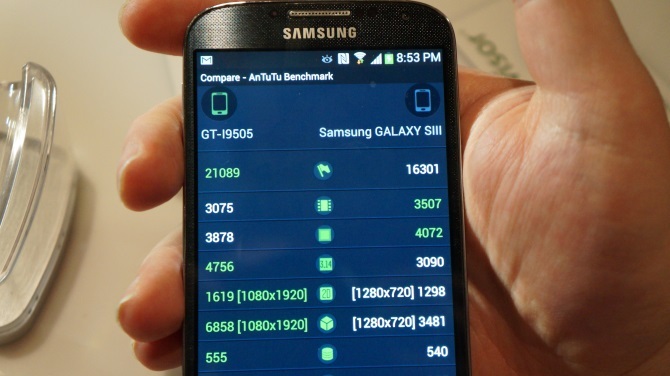 According to a recent article on laptopmag, Samsung’s new flagship Android device is capable of reaching 21,000 points in ANTuTu, which marks nice performance increase of Galaxy S III’s average score of 16,300. Given that last year’s flagship smartphone came to the market with a 1.5GHz dual-core Qualcomm chipset and that the new one sports a 1.9GHz quad-core Qualcomm Snapdragon 600 CPU, the boost in benchmark score does not come as a surprise. What should be mentioned, however, is the fact that the new device can perform better than other quad-core devices as well, including the 1.6GHz quad-core Exynos-based Galaxy Note II, and even the 1.5GHz quad-core Qualcomm-powered Nexus 4.